While several cricket experts have questioned the relevance of some ‘meaningless’ bilateral series being played around the world, former sri lanka skipper sanath jayasuriya does not feel bilateral series should be restricted to only top teams. “sometimes they (bilateral series with a minnow team) do get boring, but we need to support those (minnow) countries as well. 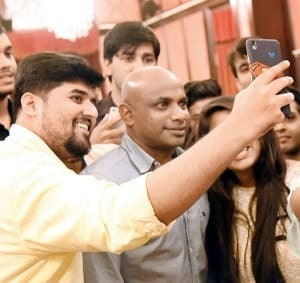 Otherwise, their cricket will never come up,” jayasuriya told mid-day on the sidelines of an international institute of sports Management (IISM) event at MCA’s recreational club in Bandra Kurla Complex yesterday. A few months ago the International Cricket Council (ICC) Chief Executive Dave Richardson also raised concerns over the future of some bilateral series with broadcasters preferring to telecast T20 leagues. Jayasuriya, however, urged the administrators to take a holistic view. “We know how our (Sri Lankan) cricket came up. Before 1996 (the year they won the 50- over World Cup), we hardly played Test cricket. “I think we would play only one or two Tests in a year. But it changed later (after their World Cup triumph). Now, we play at least 11 to 12 Tests in a year. We need to give smaller nations a chance to develop their cricket. Prominent nations must support them,” said Jayasuriya, who confirmed his participation for the Masters Champions League, a T20 tournament to be held in UAE. The poor crowds for Test matches is another major concern for cricket administrators around the world. The recently-concluded three-Test in Sri Lanka which saw India win 2-1 hardly got decent turnouts despite it being a closely-fought series. Later this year, Australia and New Zealand will be the first to experiment playing Test cricket under lights and with a pink ball. The prolific, hard-hitting former SL opener is skeptical about the day-night Test concept. “I don’t know if day-night Tests will work. Although they are trying to get the crowds (at the ground) and make them watch Test cricket. (But) the traditional way is (playing with) white clothing, day games and five days of cricket,” Jayasuriya said.